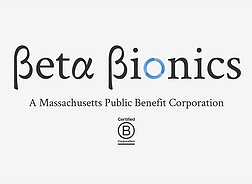 Beta Bionics, Inc. – a medical technology company leveraging machine learning artificial intelligence to develop and commercialize the world’s first autonomous bionic pancreas – today announced that it has received FDA approval to begin recruitment for home-use studies testing the insulin-only configuration of its iLet bionic pancreas system in a series of groundbreaking trials in adults and children with type 1 diabetes (T1D). Adults 18 years and older with T1D will be recruited through Massachusetts General Hospital and Stanford University, and children 6-17 years old with T1D will be recruited through Nemours Children’s Health System, the Barbara Davis Center for Diabetes at the University of Colorado, and Stanford University. The US-based multicenter, multi-arm, cross-over, clinical trial is the first of its kind, testing Novo Nordisk’s recently approved, fast-acting insulin called Fiasp® with the iLet bionic pancreas system in adults with T1D, and insulin lispro and conventional insulin aspart using the iLet in adults and children with T1D. This trial is also the first to use the new Beta Bionics-manufactured iLet device, which is capable of dosing only insulin, only glucagon, or both hormones as needed. Beta Bionics plans to enter pivotal trials with its final iLet design in 2019 and expects to launch its first product in 2020.